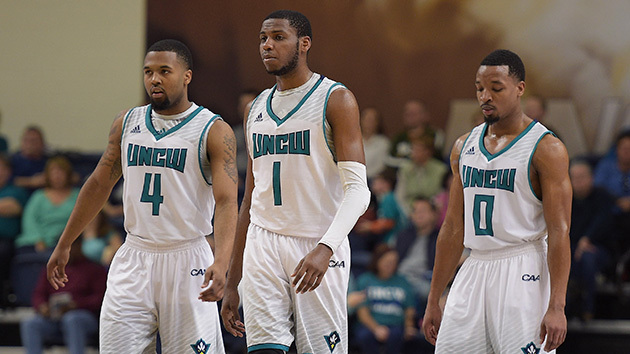 Everything you need to know about the UNC Wilmington Seahawks as they begin the NCAA tournament. The Case For: The Seahawks knocked off Hofstra in the Colonial championship game, eliminating a would-be darling Cinderella pick before it even got to the Big Dance. They do a few things well, most notably value possessions while taking the ball away from their opponents. The Seahawks rank 61st in the country in defensive turnover rate, and 42nd in offensive turnover rate. They’re not going to beat themselves, regardless of matchup. Flemmings leads the team in scoring and rebounding despite being a 6'5" guard. That’s a feature of this team, not a bug. The five players who get the most minutes in their rotation are all 6'5" or shorter. Fellow guards junior Denzel Ingram and senior Craig Ponder both average double-digit points per game, as well, so the Seahawks do have a few consistent scoring options other than their team leader. They certainly have enough offense to pull of an upset during the opening week of the tournament, even if they aren’t going to shoot anyone out of the gym. The key for them will be Flemmings taking over, and getting enough scoring from either Ingram or Ponder. The Case Against: Let’s go back to that complete lack of size. No player on this team is taller than 6'5" plays more than 16.3 minutes per game. On the one hand, that could create matchup problems in their favor. It’s much more likely, however, that they will be the ones who struggle to match up with size. The Seahawks played one of the worst nonconference schedules in the country. Their strength of schedule outside the Colonial checked in at 310th. As a reminder, there are 351 teams in Division I. Their best RPI win outside of the conference was against Western Michigan, which finished the season at 200. UNC Wilmington is one of the most lightly tested teams in the tournament this season. Despite being guard dominant, the Seahawks don’t shoot the ball very well. They’re 201st in the country in three-point percentage. Freshman C.J. Bryce is the only one of their five main players who shoots better than 36.7% from behind the arc, but he also attempted just 30 three-pointers this year. The Seahawks are second-to-last in the country in free throw rate, which measures opponents free throws attempted divided by field goals attempted. In other words, they foul a lot.